Medical malpractice is substandard or negligent medical care. The care- giver can be a Doctor or any medical professional including nurses, dentists, and others. Malpractice is caused by health care providers when they fail to follow a “standard of care,” and that failure causes injury to a patient. Substandard care occurs when the conduct falls below that degree of skill ordinarily exercised by those in their profession. All malpractice cases are complex and very expensive since experts are required to establish the standard of care and the breach. They are defended vigorously from start to finish. All are governed by a very strict statute of limitations — most are one year! You should seek help as soon as you believe you have been seriously injured. We are experienced, and we can help find the right experts to support your claim. Call our experienced Attorneys at 216 228 7200. Do not delay. Remember that your injuries must be very serious to justify the large expenses involved in a medical malpractice claim and you must cat quickly to avoid the short statute of limitations. Knabe Law Firm Co., L.P.A. 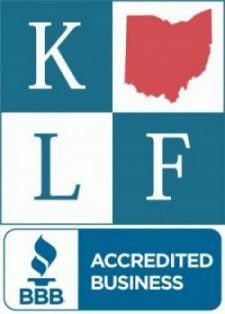 Greater Cleveland's highly-qualified super rated Attorneys protecting those seriously injured in car or bike crashes caused by unsafe drivers. © 2019 | Knabe Law Firm Co., LPA | All Rights Reserved.